This blog was mentioned 32 times in the Clay Blog Review in 2016. If you need something to listen to while making pots, check out this podcast. Ben interviews potters and makers from all over the world. Welcome back Ron! I’m happy to see the great pots and helpful videos back in the top blogs list! This blog was mentioned 33 times in the Clay Blog Review in 2016. Zygote, or Joel, creates stunning pots decorated with a cut paper resist technique. He works alongside Jessica Fong and has another blog that was a Very Honorable Mention below. This blog was mentioned 34 times in the Clay Blog Review in 2016. Mark and Meredith share their latest pots and tiles and show some of their creative process they have learned while working with clay over 30 years. Laura’s blog is full of great photos of her finished work and thoughts about her creative process. This blog was mentioned 42 times in the Clay Blog Review in 2016. Carol does a great job sharing pottery related events, tips, shows and opportunities. This blog was mentioned 47 times in the Clay Blog Review in 2016. If you are looking for tips and projects for clay, this blog is worth checking. And you can conveniently purchase just about anything mentioned from the online shop! This blog was mentioned 49 times in the Clay Blog Review in 2016. Carter takes more of a long-form approach to his blog. His blog is must-read, especially if you like to read and challenge your own thoughts about art, beauty and other issues. This blog was mentioned 52 times in the Clay Blog Review in 2016. Michèle shows a lot of the process and the pots that she and Jeff have come up with from years of making pottery. This blog was mentioned 60 times in the Clay Blog Review in 2016. Updates from the National Council on Education for the Ceramic Arts. This blog was mentioned 65 times in the Clay Blog Review in 2016. Barb shares an almost daily look into her life making pots and living in North Carolina. This blog was mentioned 103 times in the Clay Blog Review in 2016. Paul keeps cranking out the podcasts so fast I can barely keep up! He has interviewed nearly 300 potters and makers so far! The tales from Tony and his cast of characters should definitely be in your blog subscription list. He has short, frequent, often humorous stories and updates from the Cactus Lounge and his travels. This blog was mentioned 108 times in the Clay Blog Review in 2016. This blog was mentioned 113 times in the Clay Blog Review in 2016. Cfile includes frequent news from contemporary ceramics, design, architecture and more. This blog was mentioned 121 times in the Clay Blog Review in 2016. I’m not sure Gary actually sleeps. He finds time to bike and run, capture the sunrise, make and stamp amazing pots, fire them, sell them and then blog about all of it just about every day! This blog was mentioned 187 times in the Clay Blog Review in 2016. If you haven’t realized by now, this is a must-read blog if you are at all interested in pottery or ceramics. 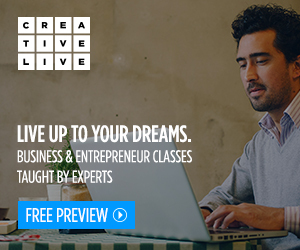 Stay up to date on the latest opportunities, emerging artists and more. Be sure to check out these blogs as well! Congrats to all the blogs that made the list. If you’d like to show off your accomplishment or give your blog visitors a little confirmation that they made a great choice by reading your blog, feel free to use any of these images as you wish. Click an image to get to a larger version. Right click and save the image to your own computer to alter it however you want. Do you agree with this list? Is there a blog missing? Leave a comment below! Or if you know a clay blog that I should know about, find out how to add it here. 166 blogs were mentioned at least one time in the Clay Blog Review in 2016. 44 blogs were mentioned at least 12 times. That’s an average of once per month! 6 blogs had over 100 mentions each this year. 40 blogs were mentioned at least one time in the “Can’t Miss” section for the month. On this site you can find a monthly feature, called the Clay Blog Review. 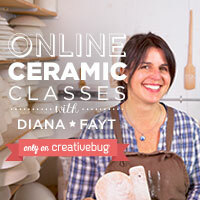 In it, you will find highlights from the best pottery blogging from around the world. (This is the subjective, inexact part!) I do my best to scan every pottery blog I can find and link to the best parts. A list of links is compiled at the end of the month and sorted into categories. At the end of the year I count each time that a blog was mentioned in the Clay Blog Review and rank the top blogs by the number of times they were mentioned. If you look closely, you may be able to tell that the list seems a little different from last year. One major change: I added the “Opportunities” category to the Clay Blog Review. I also started including blogs more often that were promoting other artists and potters. In previous years I linked mostly to individuals showing their own work. This made a big difference for sites such as Cfile and Musing About Mud. One other small change happened gradually throughout the year. If one blog had a number of similar posts in a month, I most likely only picked one or two to link. This keeps the Clay Blog Review from getting too large and I hope it encourages readers to go explore each blog and find some of those other posts. After a few discussions with some fellow bloggers I am considering some changes to the Clay Blog Review. But I’d like to hear from more of you before doing anything too drastic. After looking at some analytics data for the site, it looks like interest in the monthly Clay Blog Review steadily declined. Especially compared to a post like 23 Pottery Tips. But I hear from many loyal readers that they enjoy looking through it each month and it provides value to the clay community. The interest hasn’t declined enough to stop doing it but if I’m going to do it, I want it to be the best it can be. Check out the new Pottery Making Shop! The product offering is a little slim right now but more things will be added soon. Look for a new shirt design every month! If you haven’t signed up for the Pottery Making Newsletter or followed Pottery Making Info on Facebook, Instagram, Twitter or G+, make sure you do! I have some new features planned for the new year that should allow some fun interaction. Thanks to all of you for the support of this site. And thanks most of all to the bloggers for putting in the work on their blogs and sharing their tips, views and fantastic work with all of us! Thanks as always for doing the difficult work of reading all these blogs, sorting them, and then sharing your findings with us. I am glad you have found value in my use of the blog format to think through issues, and I know it is only one thing that blogs do effectively. There is really so much great information out there. We benefit from all of it. But I appreciate you sharing my words with your readers. If any one of us can make a difference it is only because we are all in this together and that the clay community is such a generous and welcoming place to be. Thanks so much for the inclusion in the honorable mention list, I’m always honored to see my posts selected each month. You really do a great job or sorting through all the info out there in the clay world. Thanks! Dont know if it’s been on the list in the past, but good elephant pottery blog is excellent. She has not been posting as much lately, but her thoughts on runnung a pottery business are excellent. Beautiful post about pottery i like pottery art i made some things and decor in my leaving room.